Efficiently yet smoothly so he doesn’t rattle the beakers and test tubes, Omar moves from lab to lab. 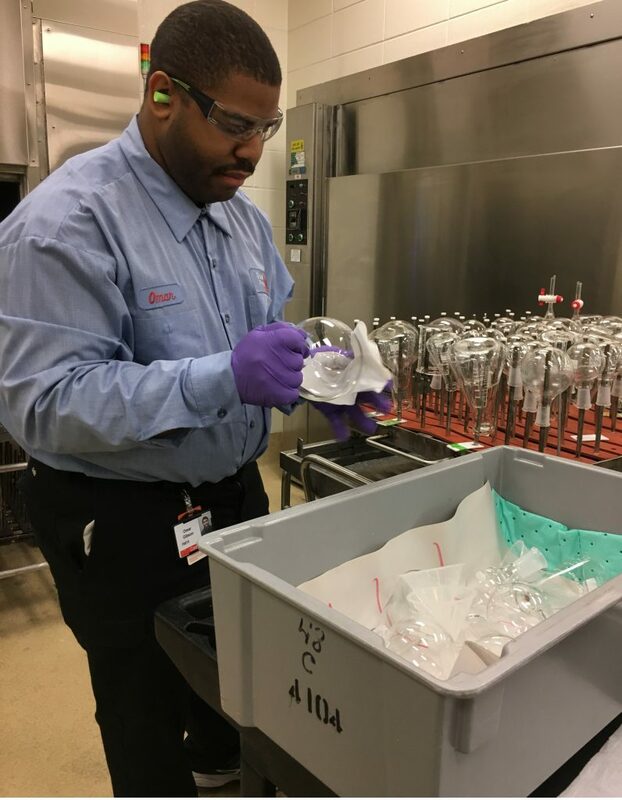 After filling his cart with trays of the glass items, he heads downstairs to run them through a thorough cleaning process. One month into the job at Eli Lilly & Co., his co-workers are thrilled. “He makes my day every day,” says supervisor Glenda Billingsley. Omar is the first to be hired through the new Noble Corporate Workforce Development partnership with CBRE Facilities Management. CBRE oversees all Lilly subcontractors, including Omar’s direct employer, SBM. To learn more about Noble’s Community Employment service and how you can hire a skilled, well qualified individual through Noble, please email us.